What happens to your Sites@Duke WordPress site when you leave Duke? 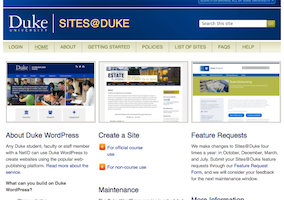 Sites@Duke themes and plugins slated to be removed in Oct.
How many Sites@Duke WordPress sites do you have? Do you have a bunch of sub sites created for a particular course that you would like to group together? Now with My Sites Enhanced, a feature created in-house for Duke WordPress sites, you can organize your sites into folders that you name. You can organize your sites by semester, by a particular project or course or whatever works best for how you want to organize your sites! 2. Click on Dashboard > My Sites Enhanced. 3. Create a new folder (e.g. summer2015). 4. Click Submit or hit enter on your keyboard. 5. Using the drop down menu under each site, assign the site to the appropriate folder. 6. 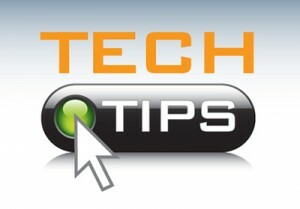 To see only the sites assigned to a particular folder, click on the Filter By Exisiting Folder Option and click enter.